as in raised on a pillow. a clam or a cleaver. or a cave or a slash. and cooch makes me glad. as in I have the power. is the author of How I Lost My Virginity to Michael Cohen and Other Heart Stab Poems (Sybaritic Press, 2014); and State of Grace: The Joshua Elegies (KYSO Flash Press, 2015), which won an Honorable Mention for Poetry in the 2015 Los Angeles Book Festival awards. Her work appears in Menacing Hedge, Ragazine, Rattle, The MacGuffin, Slipstream, Fjords Review, H_NGM_N, great weather for MEDIA, Chiron Review, and elsewhere. 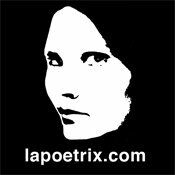 Her poems are published in over 25 American and international anthologies. Her photos are published worldwide. Since 2013, Alexis has been nominated for seven Pushcart Prizes and four Best of the Net awards. She served as photography editor of Fine Linen Literary Journal until its closure, and is currently poetry editor of Cultural Weekly, where she publishes The Poet’s Eye, a monthly photo essay about her ongoing love affair with Los Angeles. ⚡ Six Fancher Poems, which Steve Kowit, former Poetry Editor of Serving House Journal, had chosen for the spring 2015 issue before he passed away in April; all six poems plus poet’s commentaries appear in the SHJ memorial issue.